C & C Heating and Air is proud to serve the Pennington community! About Pennington, TX - Happy to be your hometown Heating & Air Conditioning Contractor! Pennington is a quiet rural community located along the Houston/Trinity county line in East Texas. Established in 1855, Pennington is home to a population of approximately 200 residents and a scattering of local businesses dedicated to serving the needs of the community. Pennington is served by the Groveton Independent School District and is located within 50 miles of several institutes of higher learning that include Angelina College in Lufkin and Sam Houston State University in Huntsville. Pennington residents enjoy a host of community amenities that include affordable housing, low crime, and a cost of living index more than 5% lower than that of the national average. It’s a good time to buy a home in Pennington. Home appreciation is up 3.8% for the last twelve-month period, while median home prices are holding steady in the low to mid-150s. 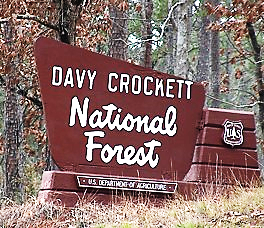 Situated along the western edge of Davy Crockett National Forest, Pennington is a veritable haven for outdoor sports and recreation enthusiasts. The forest provides endless opportunities for recreational activities such as fishing, boating, hunting, camping, hiking, biking, and horseback riding at dedicated parks and recreation areas throughout the forest. Situated along the shores of Lake Ratcliff, the Ratcliff Lake Recreation Area is a popular destination for fishing, camping, and recreational boating. The site is open year-round and features a host of amenities that include several fishing piers, a stand-alone fishing platform, RV and tent camping, an outdoor amphitheater, sandy swimming beach, playgrounds, and picnic facilities. Ratcliff Lake is the southernmost starting point for the Four C National Recreation Trail that takes hikers on a 20-mile wilderness trek through dense forests, boggy wetlands, and low-lying marshes to its northern terminus at Neches Bluff Overlook. The dense timberlands surrounding Pennington are a popular destination for hunters, who come from miles around for in-season hunts of whitetail deer, feral hogs, wild turkey, and javelinas. Anglers can enjoy fishing at any of several local rivers, lakes, and streams that include Lake Pennington, Lake Livingston, and the Trinity River, where excellent catches of largemouth and spotted bass, channel catfish, and bluegill are reported. Situated on U.S. Route 287 along the western edge of Davy Crockett National Forest, Pennington is a great place to sit back, relax, and enjoy the view of the gorgeous East Texas landscape!